Pictured, NJ server, Lorena Bossi. ‘Don’t Tip Immigrants!! 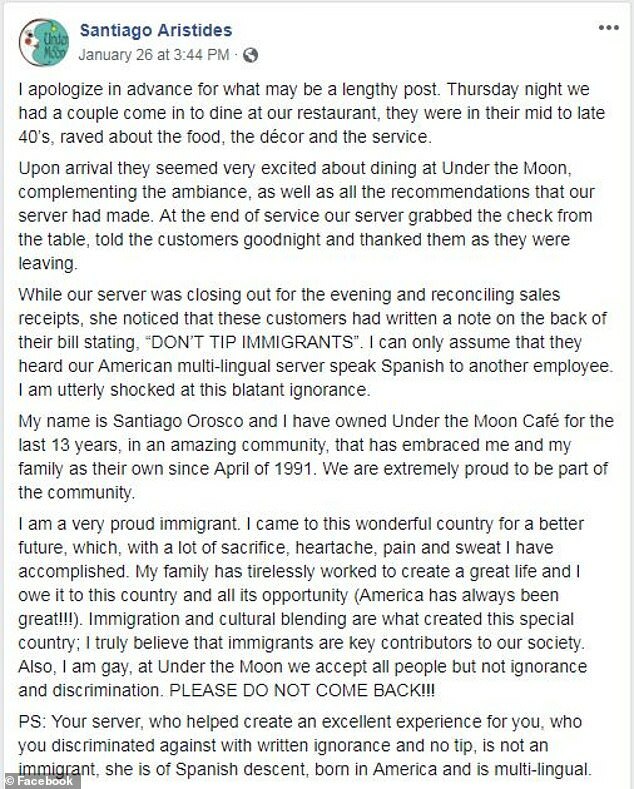 !’: Middle aged couple leaves NJ waitress Lorena Bossi racist message instead of tip at ‘Under the Moon Cafe’ in Bordentown. 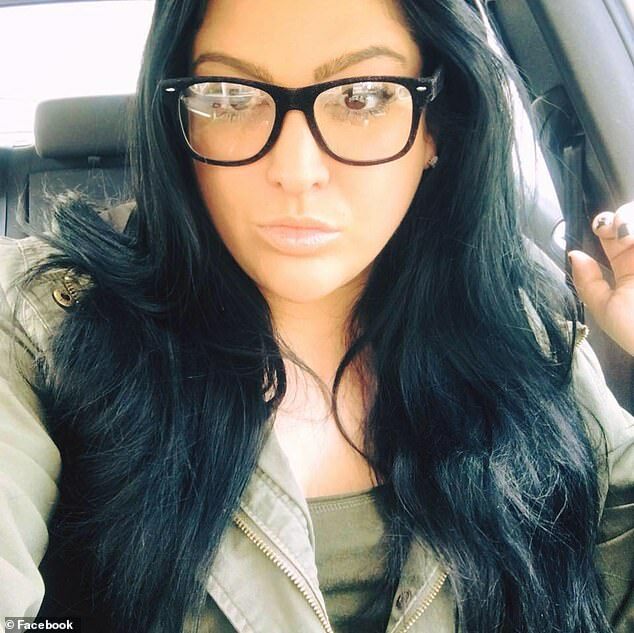 American born server, Lorena Bossi in a Facebook post said the couple had been ‘so friendly and kind’ as she served their table at Under the Moon Cafe in Bordentown on Thursday night. ‘You could tell they loved the experience, the man even called me “sweet” and said “my suggestion was great,”‘ the waitress posted. Santiago Orosco, the owner of the restaurant, also wrote about the incident on Facebook and said the couple were in their ‘mid-to-late forties’, shared a slice of cake, and had ‘raved about the food, the decor, and the service’. ‘Upon arrival, they seemed very excited about dining at Under the Moon, complimenting the ambiance, as well as all the recommendations that our server had made,’ he wrote. It was only when Bossi was closing out for the evening and going through the sales receipts that she realized the customers had left a note on the back of their bill. Orosco said he cannot find the couple because they paid in cash, which he called a ‘cowardly move’. ‘I can only assume that they heard our American multilingual server speak Spanish to another employee,’ Orosco wrote. Orosco said Bossi’s family had emigrated to the US from Uruguay more than three decades ago. ‘There’s no home in my restaurant for hatred, bigotry, racism, homophobia, discrimination,’ he told NJ.com. Has the perception of immigrants regressed in recent times? 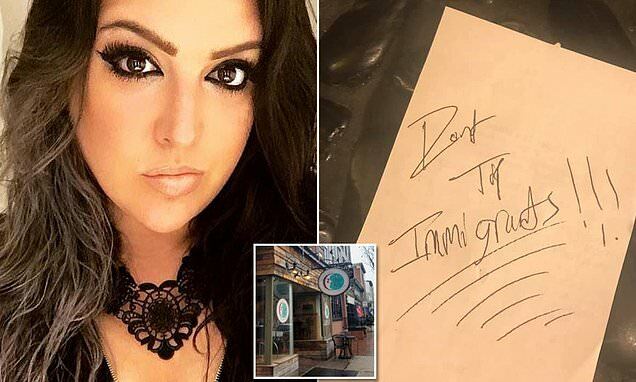 Orosco, who believes racism has gotten worse for Latinos recently, questioned if the couple would have left a similar note at a different restaurant. ‘My thing is, if she went to a Chinese restaurant and people were speaking Chinese, would she have reacted the same way? If people were speaking French or German, would she have left the note?’ he asked. Orosco, who came to the US from Argentina and worked his way up from a dishwashing position, describes himself as a ‘very proud immigrant’. He has owned Under the Moon Cafe for the last 13 years and recently opened a second location. ‘We are extremely proud to be part of the community. I came to this wonderful country for a better future, which, with a lot of sacrifice, heartache, pain, and sweat, I have accomplished,’ he wrote in the Facebook post. Orosco said that since posting about the incident, he has received an outpouring of support from the local community. ‘It’s to the point of tears to see such a support for me, my family, and the restaurant,’ he said. Patrons have also since chipped in and given Bossi a tip she would have otherwise earned.